Lines open in 18 hrs 55 mins. VCAs are the heart of any system and the K6100 offers a small and flexible design that offers excellent performance in a small package. It looks great and sounds great, offering several different modes of operation. 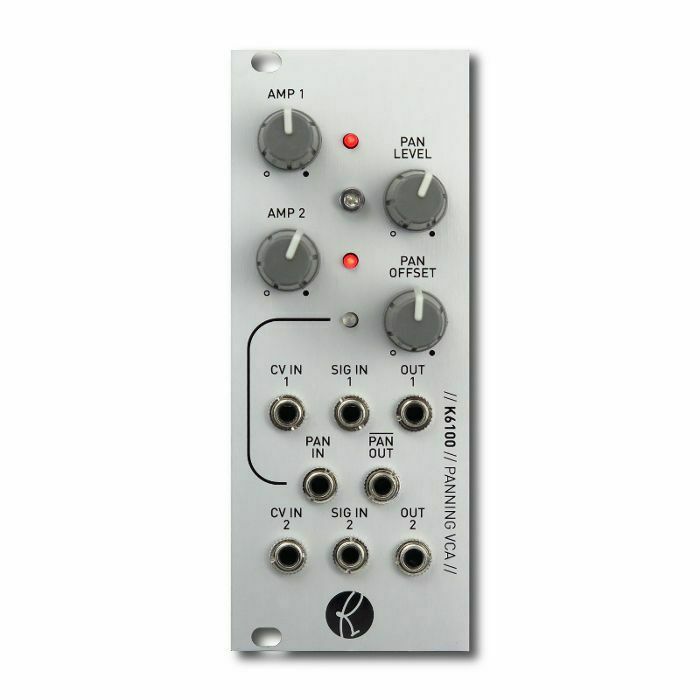 You can use it as two independent VCAs or combined for ganged / stereo operation. Each channel has an offset control that can be used to tailor the response based on your CV input source, or used as a manual volume control.